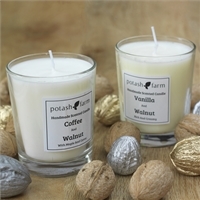 A delectable blend of rich, roasted walnut and smooth creamy vanilla. 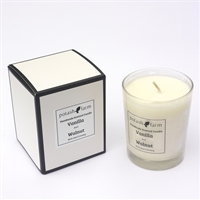 The candle is made of a blend of vegetable waxes with a percentage of highly refined mineral wax. This keep the wax smooth, and also increases the burn time, and scent throw. The wick is a braided coreless cotton, which burns in a curl to increase the melt pool. All the fragrances are cosmetic grade, which means they have been tested and regulated to cosmetic standards, which are high. There are essential oils in the fragrances, where appropriate, and the fragrance is added at 10% of total weight. So - standard candles at 200g, have 20g of fragrance, DeLuxe candles at 250g, have 25g of fragrance. All candles are supplied with the CLP information, and the SDS are available on request. 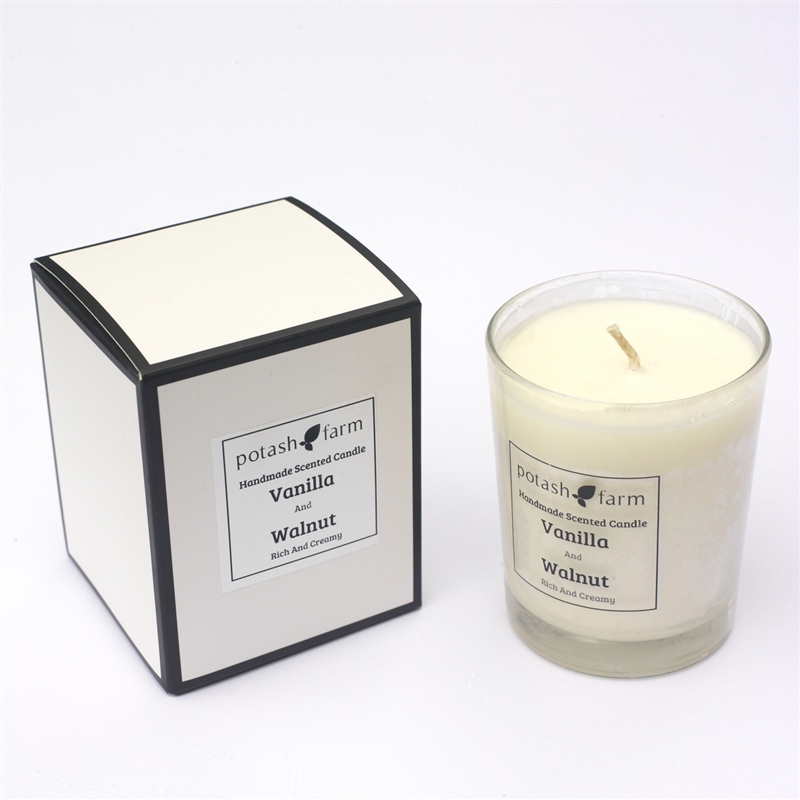 Rich woody fragrance with fresh lemon notes, and a light nutty heart of cobnut and amber. A velvety blend of dark roast coffee, blended with crushed walnuts, maple and hints of vanilla. 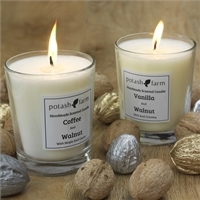 Sweet warm woody cobnut fragrance with strong roast coffee notes. Zesty lime, with powdery basil and sweet mandarin give this fragrance a lively, fresh aroma. A perfect scent for livening up a room, or invigorating linens.